Generate Reports - DealManager - Wizdocs, Inc. The Wizdocs Reports Generator automatically processes the diligence analysis and creates beautiful Word, Excel and PowerPoint based reports with a single click. Our technology allows attorneys to quickly produce client ready reports complete with charts, graphs, statistics, and more. 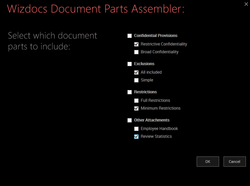 Our document parts feature allows users to pick specific content to include in final reports. The Wizdocs Reports Generator saves attorneys hours of time, reduces costs, and helps attorneys deliver critical work product to clients. The Wizdocs Reports Generator allows users to design reports with Word and Excel - no third party plug-ins necessary. Take advantage of Word and Excel's advanced formatting and styling features to create beautiful and sophisticated reports. Straightforward commands allow users to specify the placement of information from the diligence database, making it easy for users to customize our included report templates or create new ones. Use the Wizdocs Reports Generator to export statistics, entire lists, or targeted sets of information including views or dynamically filtered views. Simply select the export set (e.g. view) then select the report template. The Wizdocs Reports Generator will drop in the requested data using the selected Word or Excel template. 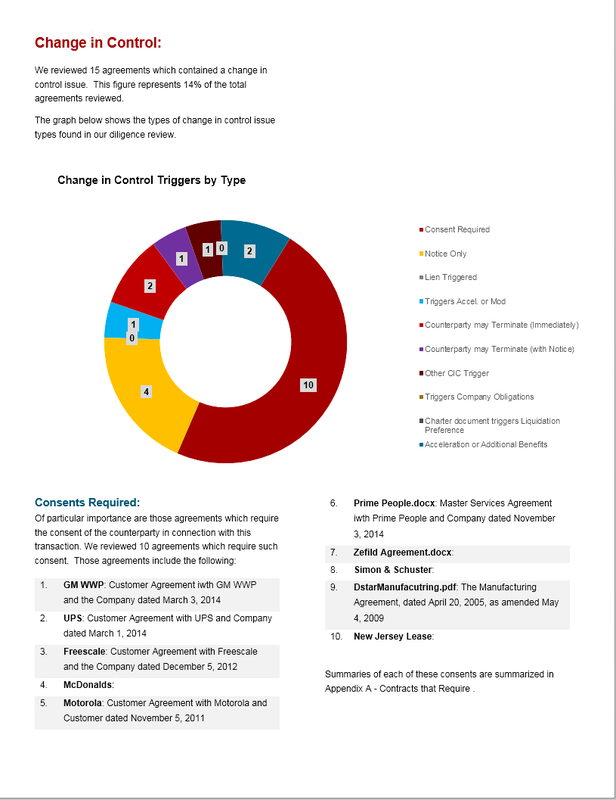 Generate Word documents with charts based on any view created within DealManager. For example, create a pie chart of document review status or a bar chart of the number of document assigned to each deal team member. Charts may be customized and formatted using Word's built-in charting tools. Each time a report is generated, the Wizdocs Reports Generator will update the charts with the latest information from the DealManager database. 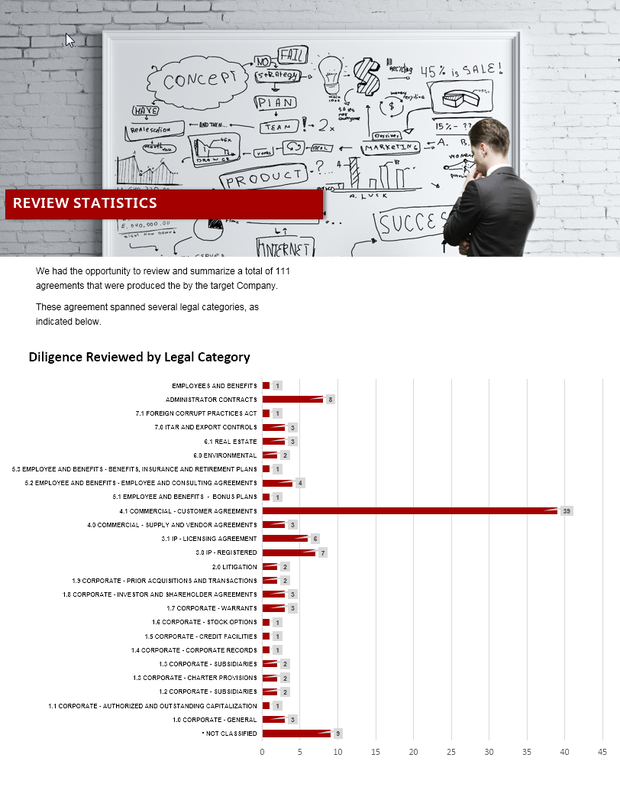 In addition to creating reports with dynamic content from the diligence review, the Wizdocs Reports Generator can assemble a report from one or more document parts. 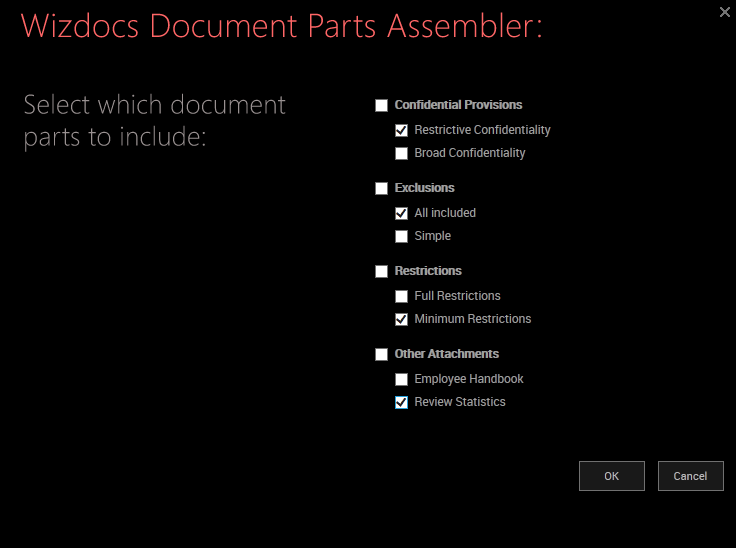 Document parts are Word or PowerPoint documents which contain static or dynamic content. When generating a report, a user selects which document parts to include in the final report. 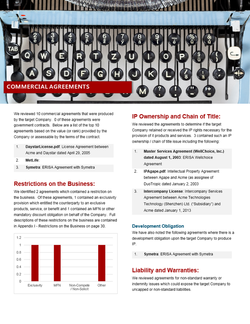 For example, when assembling a diligence report, users may elect to add firm disclaimers, introductory language, and the diligence review results for IP agreements.